3. Holland America partners with Dancing with the Stars – This year cruisers had dance fever as on all of Holland America’s ships they could take Dancing with the Stars dance classes and even compete to become the champion dancer of their sailing. 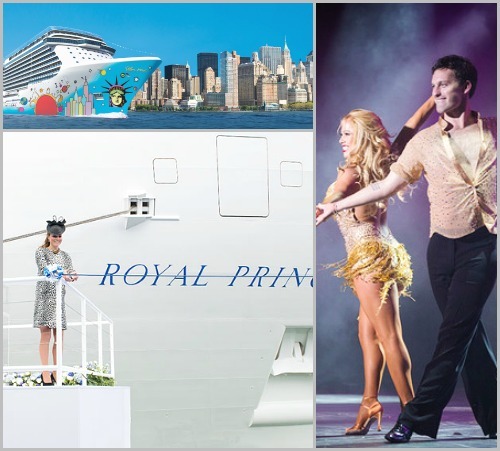 This partnership, which is continuing through 2014, also includes a selection of sailings where some of the show’s professional dancers, like Kym Johnson, Mark Ballas and Derrek Hough, appear on board along with the show’s most popular stars, including Shawn Johnson and Carson Kressely, to perform, meet guests and participate in Q & As. 4. Quantum of the Seas is Announced – Royal Caribbean made waves earlier in the year when it announced its latest ship, the Quantum of the Seas. This ship will have some of the most unheard of features on a cruise ship, like virtual sky diving, bumper cars and a mechanical arm, called the North Star, that takes passengers over the side of the ship for an astounding experience and view. The new ship is set to debut in the fall of 2014, followed by a sister ship, Anthem of the Seas, in 2015. 5. 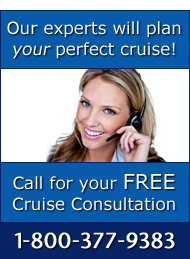 Oceania Prepares for a 180-Day Sailing – Perhaps the longest itinerary to ever be embarked upon, Oceania Cruises tossed their hat into the world cruise ring with this amazing 180-day itinerary, which will set sail in 2015. This is truly a journey. Along the way the cruise will stop in 89 ports and visit 44 separate countries. The sailing starts and ends in Miami, and along the way you’ll traverse the Panama Canal and travel to Asia, the South Pacific, South America, Australia and New Zealand. Stay tuned as we’ll be documenting the five things we’re most looking forward to in 2014 in January. Which of these new cruising initiatives had you most excited this year?